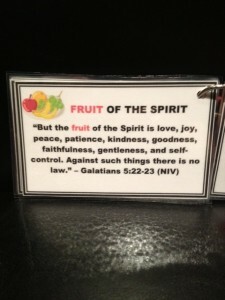 Home › Uncategorized › "Fruit of the Spirit" Scripture Card Giveaway! 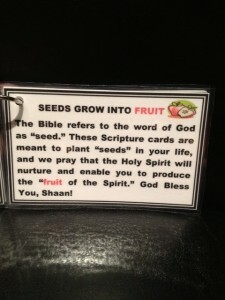 “Fruit of the Spirit” Scripture Card Giveaway! I’m excited to announce that the second Shepherd My Child product, the “Fruit of the Spirit” Scripture Card set, is complete! This set of cards is the perfect accompaniment to the harvest season! Before long, we’ll be seeing “Horns of Plenty” marking the season of Thanksgiving, and these cards give us a way to tie the physical “fruit” and physical signs of abundance back to the spiritual “fruit” and spiritual signs of an abundant life in Christ. 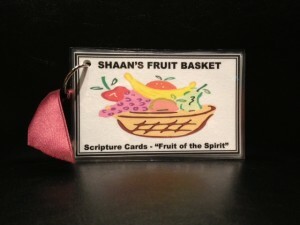 These cards cover all the “fruit of the Spirit,” various physical fruit that grows on trees (science education), and also provides a simple child-friendly explanation of what the “fruit of the Spirit” is to help you introduce your children to this spiritual matter at the earliest age possible. 1) Refer the Shepherd My Child Facebook page (www.facebook.com/ShepherdMyChild) to as many friends as you like and have them “like” the page between today (10/13 and 10/23). There’s a 10 day timeframe on this giveaway, as I’d like to get the winners the sets in time to use for the month of November (to correspond with the Thanksgiving season). Please note these must be NEW “likes” received by 10/23. If your friend is the lucky winner drawn on 10/23, both your friend will win a free set of cards and you (the person who referred them) will win a free set as well! It’s a win-win for everyone involved. Shepherd My Child gets to build its fan base, new people get to hear about Shepherd My Child and possibly benefit from the posts, and you possibly get to win some free Scripture cards in the process as well! So, if you’re interested, start referring!!! The countdown to the giveaway starts now!!! The more people you refer, the better your chances of winning a free set! 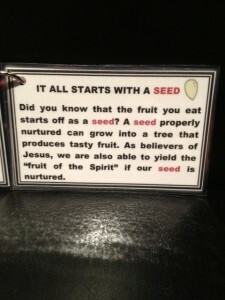 5 Comments » for “Fruit of the Spirit” Scripture Card Giveaway! Such a sweet way to begin teaching a little one about walking with God! Stephanie Pryor referred me to your website. Hope we’re the lucky ones for a free set! Would love these for my child! These are the best idea I’ve come across in a while. It’s never too early to start sharing with your little ones. And yes, our family is interested in a complimentary set!!! 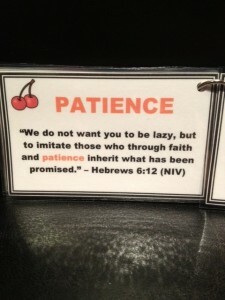 I truly thank God for your sharing your faith in such a beautiful, meaningful, and enduring way! May God bless you, your family, and your ministry richly! My friend, Lauren Weathers, forwarded your site to me. 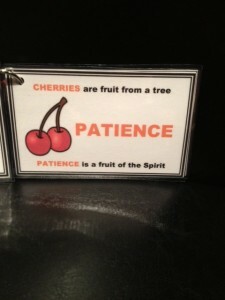 We would both love the “Fruit of the Spirit” cards. Your site is a wonderful resource! Thank you!